Multiple implants are serious business. Losing even one tooth without replacing it has serious implications. Naturally, the more teeth are lost, the worse the impacts can become. Even the cosmetic impact can be a serious problem; losing several teeth can create both social and career barriers and lead to isolation. If several teeth are missing, obtaining proper nutrition can also become difficult. It gets worse because losing teeth spurs bone loss which, over time, can lead to “floating” teeth and other phenomena which severely impact not only oral health but overall wellbeing. As the name implies, dental implants are root-like structures that are placed inside the gums via a minor oral surgery. They look and act exactly like real teeth because they are almost the same thing. Unlike dentures and bridgework, they actually arrest bone loss on top of their significant benefits in terms of convenience and appearance. Dr. Peiman Soleymani of Beverly Hills Periodontics & Dental Implant Center has provided the gold standard solution for lost teeth to countless people from all walks of life. Patients who can benefit from multiple implants may be missing a few scattered upper or lower teeth. Others may a miss all or most of their teeth on either their upper or lower jaws, or both. When the missing teeth are relatively few and scattered, then each tooth should be replaced by an implant individually. However, if many or all of the teeth are missing on one or both jaws, the prospect of replacing each tooth individually can become truly daunting because of the time and potential expense. 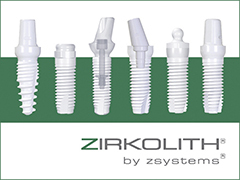 All-on-four dental implants are a very popular solution in these cases. With these procedures four implants at strategic points on the jaw during a single procedure. The remaining teeth are replaced by simple prosthetics that are more like permanent dentures. Thus, a patient can immediately replace a row of missing teeth with a single procedure, getting the benefit of an entire row of replacement teeth in a single procedure. If you are missing several teeth, here’s no reason to wait any longer to find out if dental implants are right for you. To get in touch with Dr. Soleymani and his team at Beverly Hills Periodontics & Dental Implant Center, call us at the phone number above or reach out through our contact page.